Bookkeeping services for small business play a major role in a company’s stability and growth. Companies need accurate and attentive bookkeeping to survive in the ever-changing economy. Recording your business’ financial transactions is crucial because it gives you a clear picture of your financial situation. Organizing your transactions, contracts, and other records can help you make effective business decisions as well. But bookkeeping can be an overwhelming task, especially if you’re an active manager or a CEO. So this week on Five Tips Tuesday, we’ll help you pick the right bookkeeping services for small business. Find out the factors you need to consider in finding a bookkeeping service. Get bookkeeping tips from the pros. Learn the basics of simple bookkeeping for small business. Check out the best accounting software you can use in 2018. And last but not the least, get the book that will help you understand and manage your business’ finances. Bookkeeping and accounting duties can be time-consuming. Apart from maintaining your books daily, you also have to regulate data entry, record tax information, and create financial summaries. That’s why it’s smart to outsource your bookkeeping services. Getting one will let you focus on other important matters, such as marketing your business or managing your team. Learn how you can find the right bookkeeping services here. Even if you choose to hire a bookkeeper, you still have to familiarize yourself with basic bookkeeping practices. This will help you stay updated on your company’s financial status. 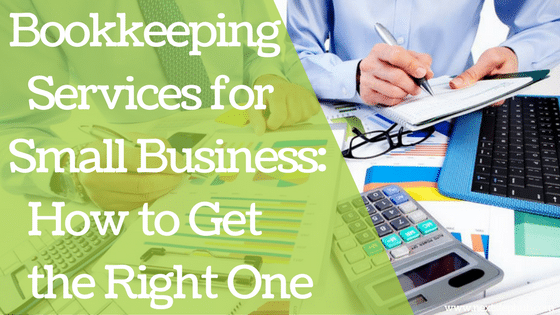 Discover the basics of bookkeeping for small businesses in this infographic. Bookkeeping can be intimidating. But by observing proper practices, you can keep your books accurate and reliable. Master the art of bookkeeping by learning from the industry experts. Check out these 25 tips from the pros. Using the right accounting software can help you manage your finances easier. Since every business type is unique, it’s important to pick the tool that is specially designed for your company. Check out the best accounting software for different kinds of small business here. Do you want to stay on top of your business’ finances? Then “Accounting and Finance for Your Small Business” is the right book for you. Written by Steven Bragg and E. James Burton, this is a must read for new and established small business owners, operators, managers, and accountants. Here you’ll learn all you need to know about conducting analyses, analyzing financial information, computing tax liabilities, and more. Do you have other tips that can help entrepreneurs find good bookkeeping services for small business? Share it with us in the comments!